If it isn't Carbon - are you Still a Mountain Biker? - July 17, 2018, 12:10 p.m.
"I'd love to see something that quantitatively compares what you get now for what you got years ago, taking into account things like inflation and commodities (even if rough)." - A 1993 Mongoose IBOC Comp... rigid steel with Deore LX components. I still ride it as my wet weather commuter, it's probably given me the best ROI of anything I've spent money on in my entire life. - A 2015 Norco Fluid 7.3... aluminum with low spec components and the most entry level RockShox fork and shock. A John Henry Days clearance special. According to an online inflation calculator I found, $1,200 in 93 was roughly $1,700 in 2016 when I bought the Norco. I put new tires, pedals, and a Hilo dropper on the Norco, bringing it up to maybe $1,600, so I'm still $100 ahead for a far, far, better bike. However, I've spent more on maintenance of the Norco in the last two years than in 25 years for the Mongoose! As for the Shore being hard to learn on... I started riding/pushing across Bridle Path, moved up to the easier XC trails, then the blue descents, and now I can ride most blacks. Lost some blood and picked up a few scars along the way, but it's all been good! Re: 2019 NHL Playoff Thread - April 16, 2019, 7:40 p.m. Lightning & Penguins out. Bookies must be getting a bit nervous about the odds they'll be paying out now. Re: the future of mtb's - April 14, 2019, 7:01 p.m.
At some point the question of fun/excitement/danger vs ease of use also comes into play which I think is part of the reason why hard tails seem to be enjoying a bit of a surge in popularity. Maybe hardtails are in the "what's old and difficult is retro and cool" phase telemark skiing was 15 years ago. You don't see many tele skiers anymore (other than the old guys like me who can't justify buying new gear). Re: 2019 NHL Playoff Thread - April 14, 2019, 6:43 p.m.
Well, the 'Bolts get one more chance to win the first of four games. Lotta hockey pools on the verge of being binned. Re: ***NSFW*** Freedom-loving GIF, PIC, and VID Thread - April 12, 2019, 3:14 p.m.
Re: Opera browser, VPN, and password managers... - April 12, 2019, 11 a.m. I use the free version of LastPass for passwords...works great in Chrome and on my phone. I have Windscribe Pro VPN on my torrent / Usenet computer... easy to set up, lots of servers around the world if there a geo-blocked site you want to get to, and they are a Canadian company. Re: Do you buy from CRC? - April 11, 2019, 11:06 a.m.
Re: ***NSFW*** Freedom-loving GIF, PIC, and VID Thread - April 8, 2019, 4:22 p.m. 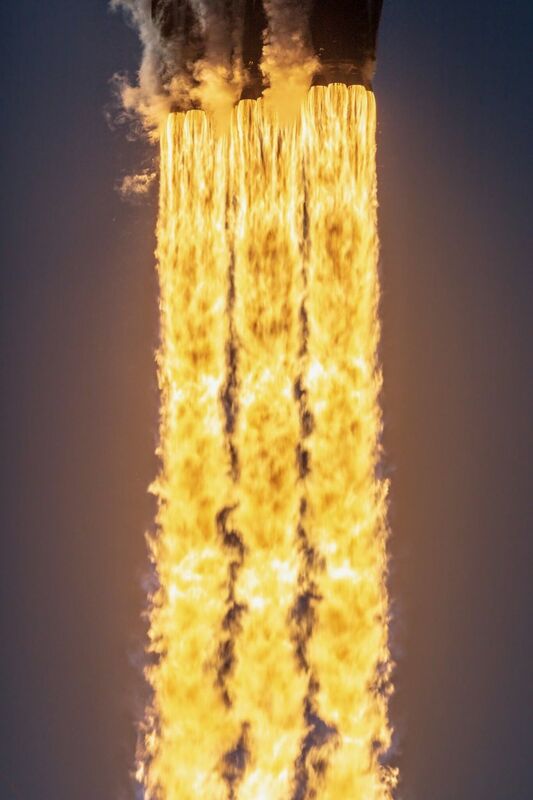 If all goes as planned, SpaceX will launch the second Falcon Heavy on Wednesday and go for the triple booster landing. No Roadster payload this time, just a boring communications satellite. Re: New Empress Bypass - April 1, 2019, 9:24 p.m.
My berm technique isn't great, but the the last left turn before the bridge (1:26 in the vid) seems to want to launch you straight off the berm and into the weeds, or one of those trees. Other than that, much nicer than the old version. The hiking trail is great too. It's nice to be able to run up it without having to worry about bikes coming down. Re: ***NSFW*** Freedom-loving GIF, PIC, and VID Thread - March 28, 2019, 10:25 p.m.
Insanity, but the flying chair catch at 1:11 is pretty awesome. Re: Hikers and the Sea to Sky Gondola - March 22, 2019, 3:27 p.m.
[The hikers were] tired and hungry, and it was after hours. And they were quite obviously ill-prepared to walk out. We should have downloaded them. So, it’s a moment of learning for us,” explained Kirby Brown, General Manager of the Sea to Sky Gondola.